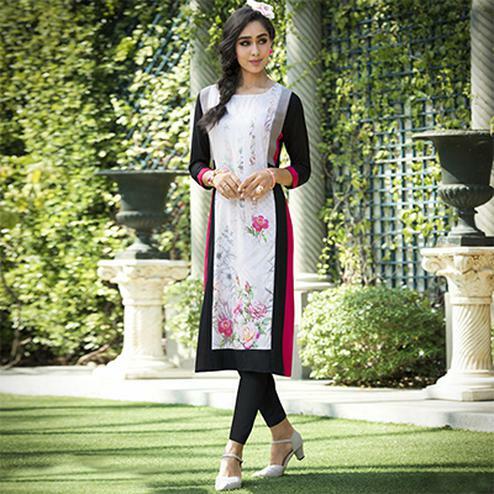 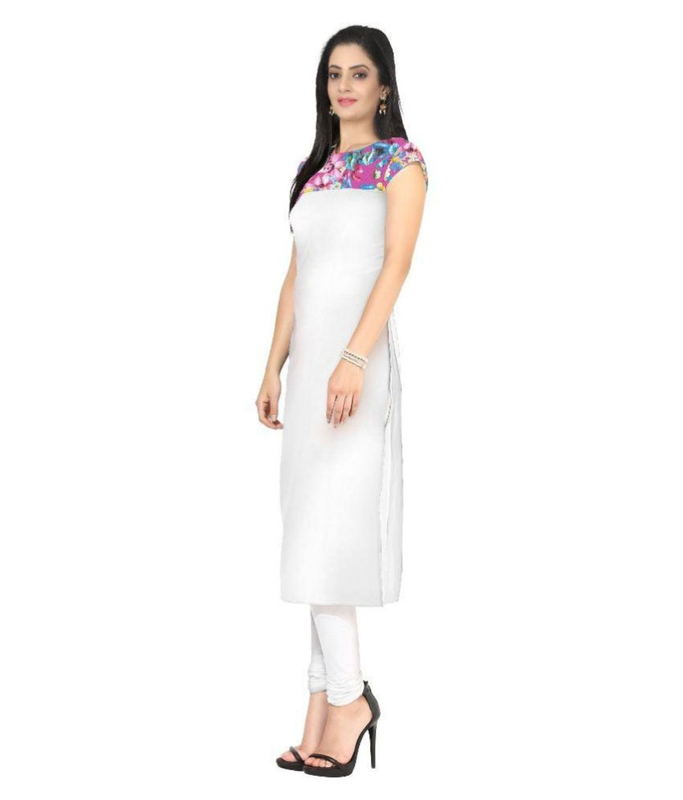 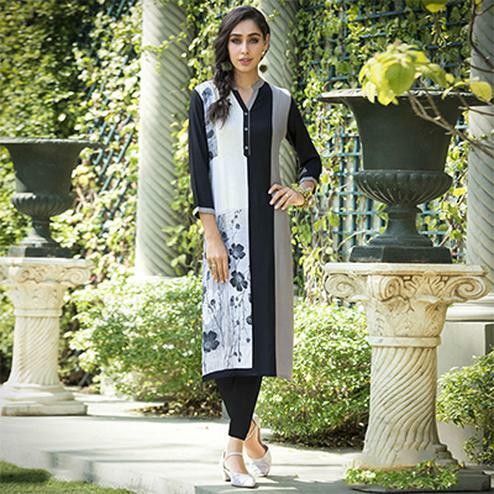 Get this white kurti to make your casual look more stunning. 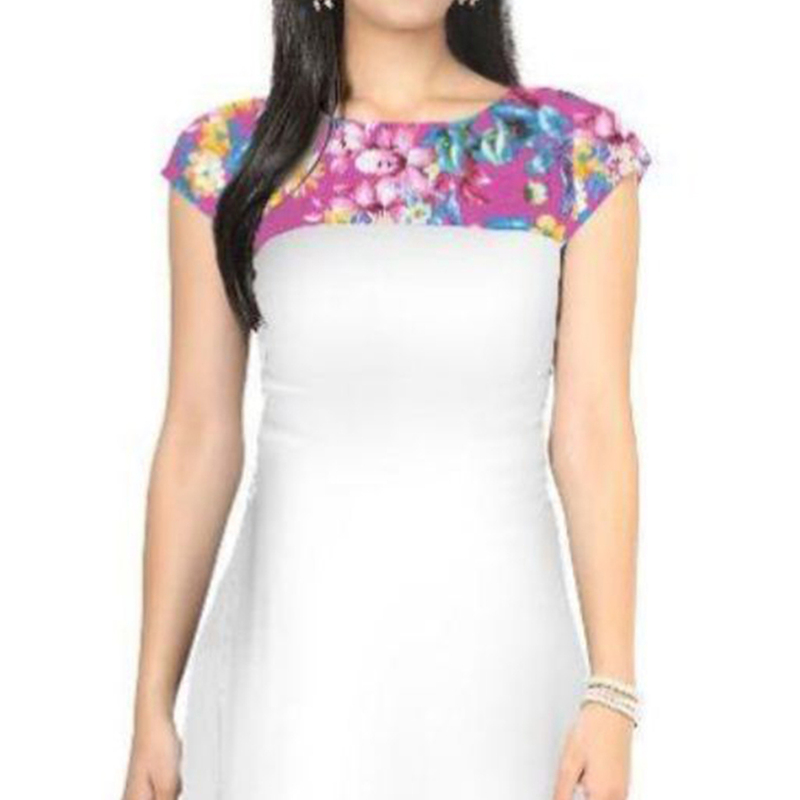 This crepe fabric has got digital floral print design on yoke, short sleeves and side cut as shown. 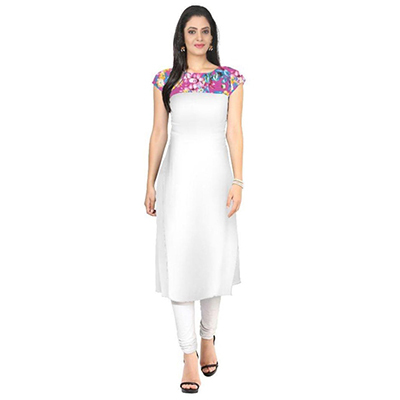 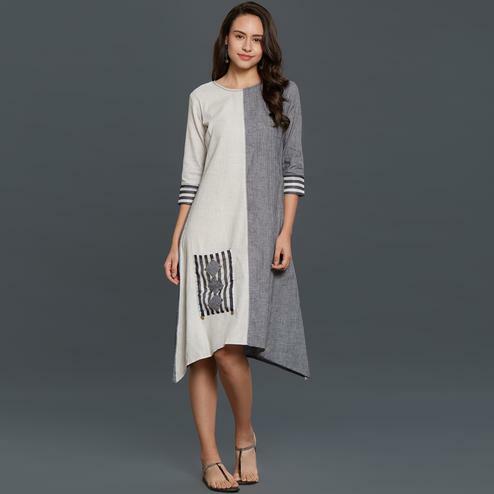 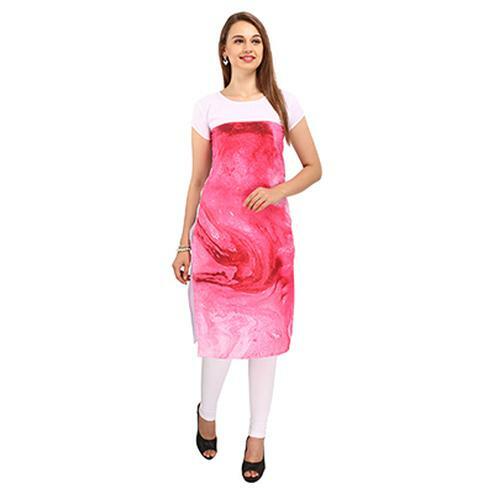 You can wear this kurti for casual outing & social get together. 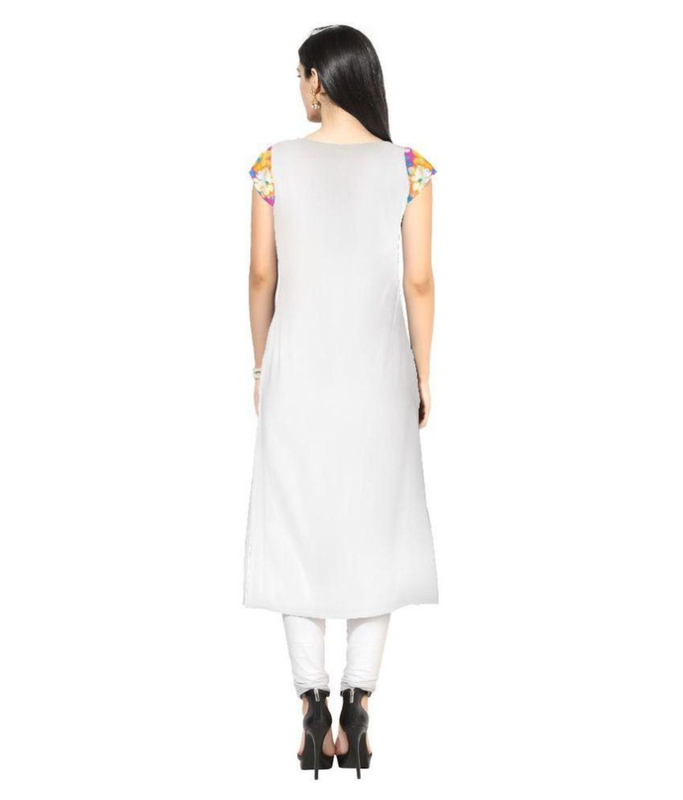 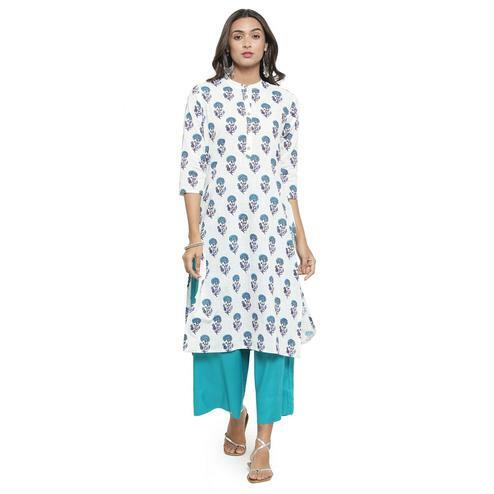 Team it up by pairing this kurti with matching churidar or leggings for a complete look.